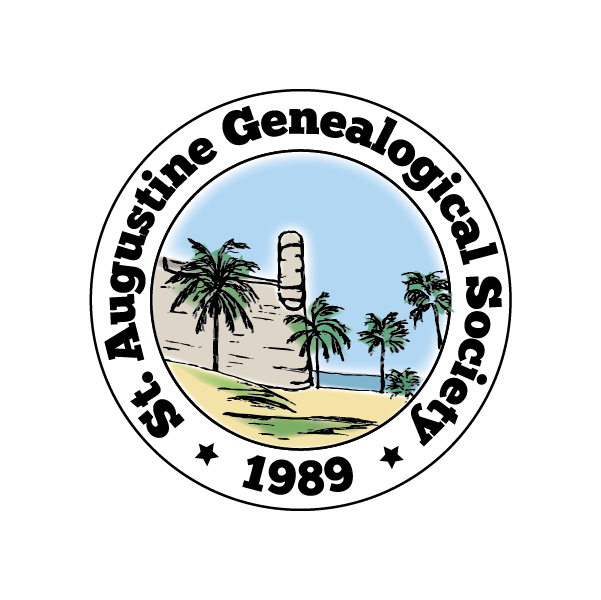 Welcome to the St. Augustine Genealogical Society records archive. Here you will find a collection of transcribed records from local resources. Each record collection is listed with links below. You can browse each data table individually or you can use the search box at the top of the sidebar to search the entire site. The search feature searches all site content – data tables, pages and posted articles. Visit the Military Records page. The transcribed obituaries span a period from 2007 to 2014. Obituaries are organized in alphabetical order and can be searched using the search box in the right sidebar or browsed using the links below. Enter your email address to follow SAGS and receive our news and tips by email.